Ultimate Anti-aging Serum provides stimulates the production of collagens and improves skin microcirculation and also helps to reduce damage caused by time and restore substance and vitality and the action of the longevity protein to help increase cellular vitality and preserve the skin's appearance. Derived from Marine Biotechnologies EPS SEAFILL and Matrigenics 14G are epochal ingredient which tightens and fills in wrinkles. Matrigenics 14 is involved in restructuring the Extracellular Matrix for a 14 days visible anti-aging effect and exceptional anti-aging face care range to fight against all signs of aging and maintain visibly youthful skin. 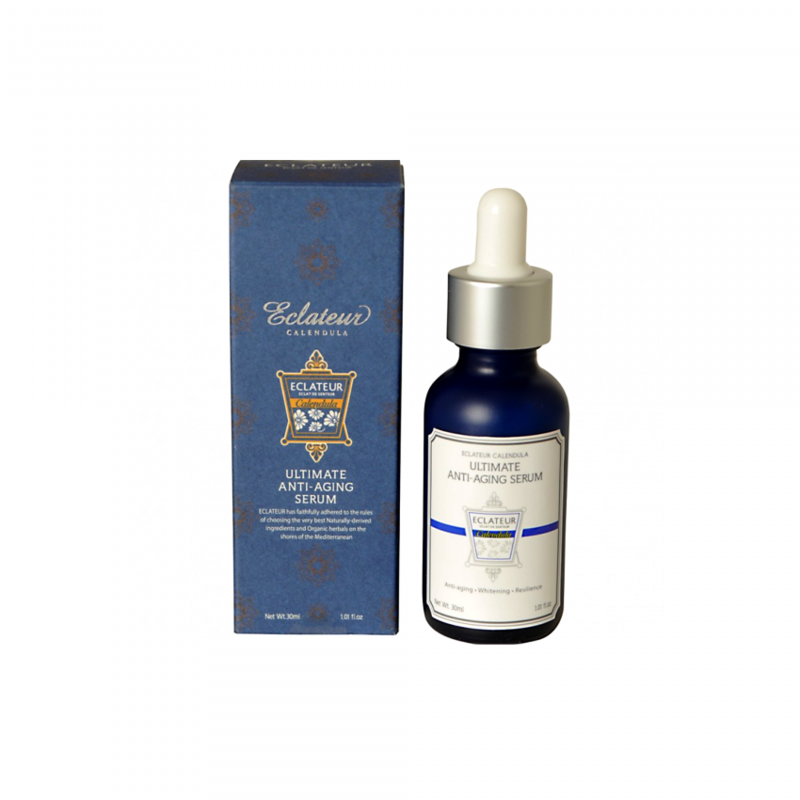 Eclateur Calendula Ultimate Anti-Aging Serum offers a premium anti-aging solution for skincare. Luminous & long lasting-moisture lip colorThis long-lasting moisturizing lipstick creates gorgeo.. DESCRIPTION:The newly introduced Eye-Charm Magic Slim has been enhanced from the previous versions. ..